At TM Heating & Cooling we offer Furnaces that are more innovative, more efficient and easier to service than any other. Much hotter temperatures for proper combustion. Hotter temperatures allow for the most complete combustion within any conventional boiler. Hotter combustion temperatures eliminate creosote, moisture and their damaging effects. More complete combustion means a cleaner and more efficient burn. 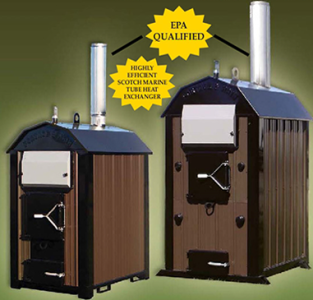 Hotter combustion temperatures equal a dryer, longer-lasting outdoor wood boiler.